Both Ilhan Omar and Rashida Tlaib are Democrats from Midwest and outspoken advocates of minority communities. 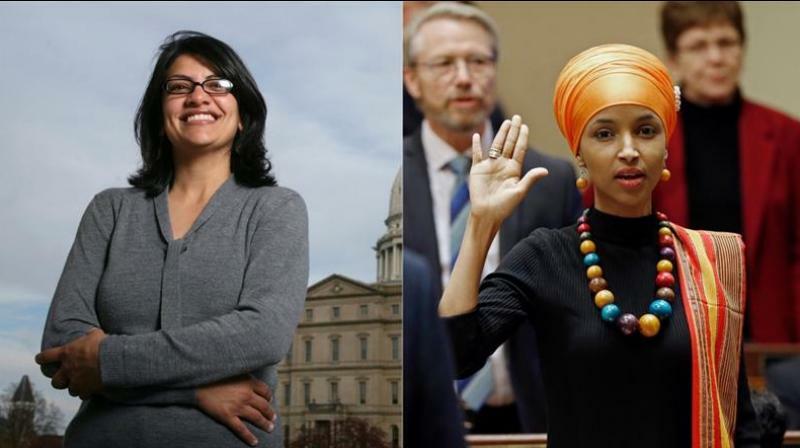 Chicago: A onetime Somali refugee and the daughter of Palestinian immigrants shared the historic distinction Tuesday of becoming the first two Muslim women elected to the US Congress. Tlaib's victory was no surprise. She ran unopposed in a congressional district that stretches from Detroit to Dearborn, Michigan. In August, she emerged as the winner of a Democratic primary for a seat vacated by John Conyers, a long-time liberal lion who stepped down in December amid sexual harassment allegations and failing health.